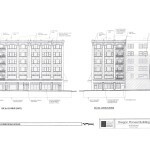 A building permit is under review for the conversion of the Oregon Pioneer Building at SW 3rd & Stark into a boutique hotel. The historic building was purchased in January 2014 by Palo Alto-based developer BPR Properties, who specialize in hospitality projects. The architects for the conversion are Arris Studio of San Luis Obispo. The building is home to Huber’s Cafe, which will continue to operate, and possibly serve the new hotel. The building was originally known as the Railway Express Building, and was built in 1910 as an office building to a design by architect David C. Lewis. Huber’s has occupied a portion of the ground floor since the building opened. 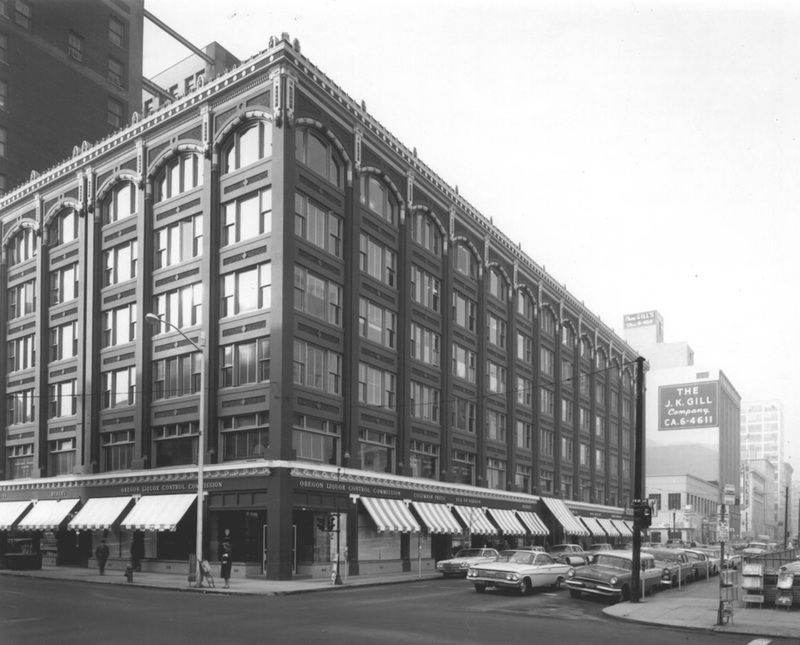 In 1962 the building was renamed after its principal tenant, the Oregon Pioneer Savings & Loan Association. The building was listed [PDF] on the National Register of Historic Places in 1979. 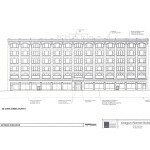 The hotel conversion project was approved through a Type II Historic Resource Review [PDF], in which the Bureau of Development Services found that the proposed exterior alterations did not compromise the historic integrity of the building. Proposed work includes the removal of the non-original fabric canopies, and the addition of new metal canopies at the primary entries. Window HVAC units will be removed, and the existing windows repaired as required. New storefront windows will be installed where the previous tenant entries are to be removed. A building permit for demolition of interior partition walls was issued in April 2014. A building permit for the conversion work was applied for in November 2014, and remains under review. This entry was posted in Arris Studio Architects, BPR Properties, Downtown, Hi-Lo Hotel. Bookmark the permalink.